When I was 11 or 12 years old, back in the early 70s, my family camped at a new lake in Tennessee, That lake was Tims Ford Lake which is located near Winchester TN. At that time, the lake was only a few years old and there wasn't much development around the lake. It almost seemed a little desolate. 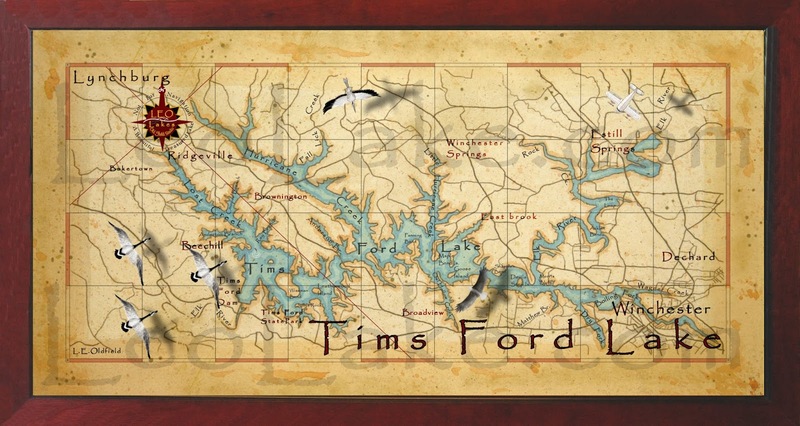 A few years ago, I painted this vintage style map of Tims Ford Lake. In fact, that's what I do, I paint lake, river, and bay maps, but more about that later. Last week, my wife and I went on a road trip to Tims Ford Lake. I wanted to learn a little more about the lake, see how it has changed and take some photos. There are are two large marinas on the the lake. We visited both of the marinas, Holiday Landing Marina and Tims Ford Marina. I don't remember these marinas when I was a kid, but I do remember a campground that we camped when I was a child. I couldn't find that campground and am not sure if it remains in business. The lake is beautiful and mostly treelined. I don't think that you can own property right up to the shore and that explains the feeling of remoteness. 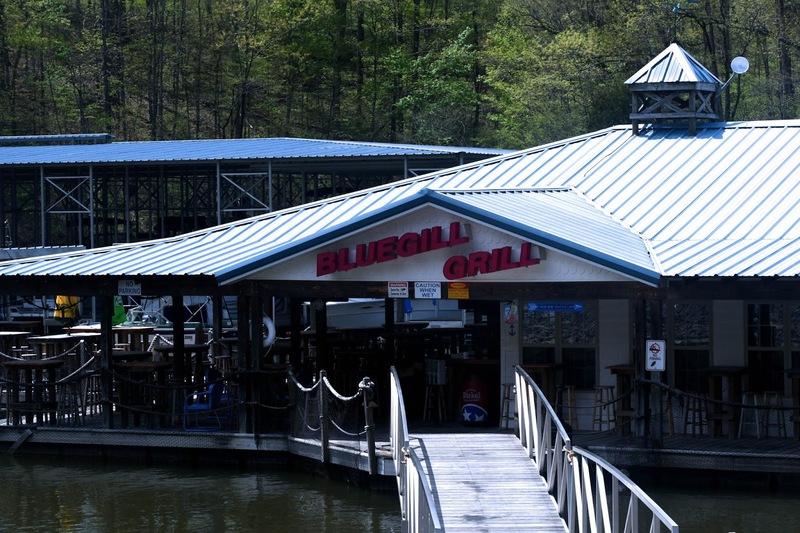 Our first stop was Holiday Landing Marina located on Fall Lick Creek. 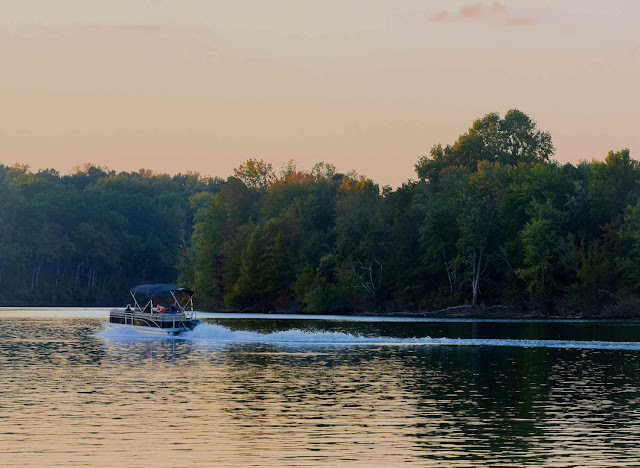 As you can see, the marina is snuggled right in the middle of Fall Lick Creek making for a beautiful setting. 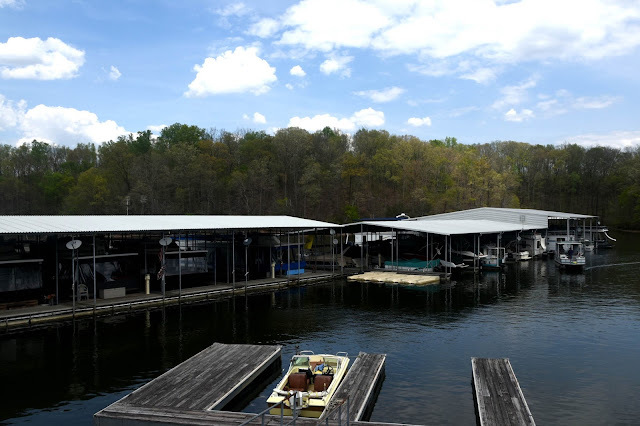 I have noticed that marinas are becoming more and more crowded during the spring and summer. I think that families are looking for a mini vacation and marinas fit that bill. There's a great grill at the marina appropriately named the Bluegill Grill. I heard that during the summer they have a fantastic band that plays on the weekends. I bet this place is lively on a summer Saturday Night. 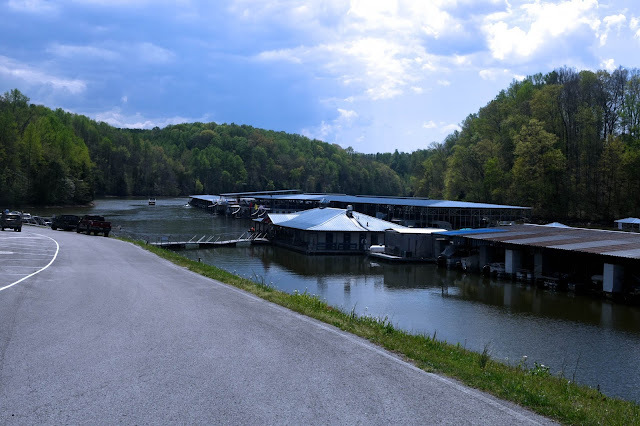 The next marina visited was Tims Ford Marina located on a small cove that branches off Anderson Branch Cove. TFM is a large marina with many amenities such as cabins, RV spaces, and boat rental. 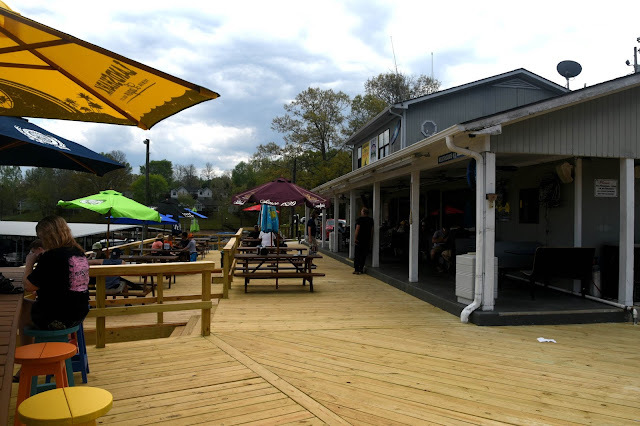 We stopped by the Hard Dock Cafe at Tims Ford Marina to see what's new. Even though it was early spring, many folks were at the cafe. While munching down on some great food, you can enjoy the wonderful view overlooking the marina. Tims Ford is a beautiful clean lake and yes, you can even catch a trout! I haven't spoke much about fishing but, the tail waters of Tim Ford Lake, the Elk River, supports trout year round. Interestingly, the lake has kept it's feeling of remoteness while adding great amenities and attractions. Remember, get away from the big screen and get on a big stream! A bit about myself. About seven years ago, I began to paint lakes, rivers and bays maps in order to bring back those golden lake memories like the one above. They make a truly unique and special gift for the lake house owner, lake lover and fisherman.